Celebrating 10 year anniversary with $1.00 sushi! Welcome to Zencu Sushi & Grill, located in the Little Tokyo Mall. Zencu is the combination of zen and cuisine. 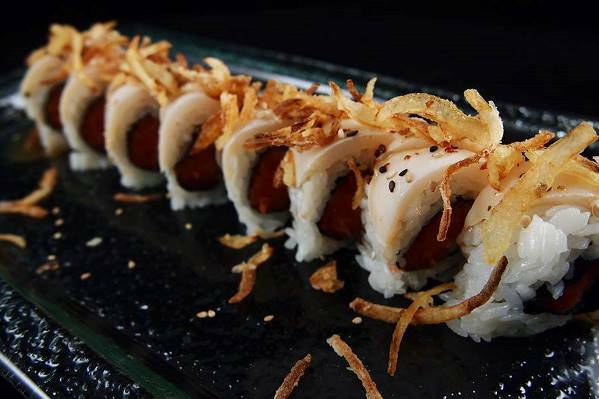 Skilled culinary chefs bring you Japanese fuision, unique sushi rolls, bento boxes, tempura, and noodle dishes to name a few. Enjoy lunch or dinner in our trendy and sleek atmosphere. Celebrate Zencu’s 10 year anniversary with $1.00 sushi! Zencu Sushi & Grill is located at 319 E. 2nd St., #206 in the Little Tokyo Mall; just a few blocks away from the Metro Gold Line (Little Tokyo/Arts District Station). For your best route, use the Trip Planner.